Adding tabs to your product pages is not difficult--all you have to do is copy and paste a little code here and there. There are two different ways of adding tabs, depending on how you want them to function, so continue reading about the two methods below. Wait! Are you using the Minimal theme? I have another post about how to add tabs in the Minimal theme. Click here for that tutorial. If this is what you want, there is a handy article in the Shopify Wiki explaining how to do this, which you can access here. One tab for the product's ingredients, or instructions for how to use it, etc. In the next few paragraphs I'll walk you through the simple steps for adding these tabs. You can also watch the video walkthrough directly below. Just in case you mess something up and break your store layout, it's always a good idea to create a backup of your theme before changing the code. You can do this by going to your Shopify Dashboard > Themes, and then clicking "Duplicate" under the theme you are editing. In order for these tabs to work, your theme will need to have both jQuery and jQuery UI. Most Shopify themes already have jQuery, and many already have jQuery UI, but make sure to check first. You can find out by opening "theme.liquid." 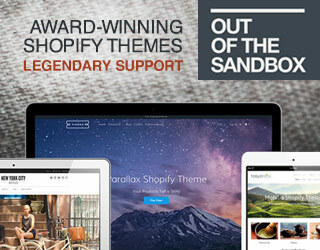 This file can be found by going to your Shopify Dashboard, then clicking on Themes > Template Editor. If you have trouble finding this, watch the video tutorial above. It will look one of those two lines above, but the numbers (1.4 or 1.9.1) don't have to match exactly. This is the code for jQuery. Click "Update" or "Save" to save the changes you made to the product. Then go ahead and view the product on your website to make sure the tabs are showing up properly. 5. Edit the content of each tab to your heart's content After confirming that the tabs are working, continue using the HTML editor to change the tab titles and content. Note: You may try to edit the tab content in the visual editor (rather than the HTML editor), but this tends to cause problems, since Shopify sometimes adds unwanted code that breaks the tabs. If you do this and your tabs stop working, you'll have to check the HTML editor and delete any unwanted code. You might have to come back here and copy and paste the code again. I hope that went smoothly for you! If you had any problems, please leave a comment below with a description of the problem and I'll do my best to help. In the comments of this post, Melanie asked about how to change the appearance of these tabs to fit better with her Shopify theme. I made this video walking through some basic CSS styling--it's a bit long (22 minutes), but I think it will really help answer Melanie's question. As always, feel free to leave comments below with any other questions! Having trouble getting this to work? I'm happy to take a look and try to help you get this working, but please note that I can't help you unless you provide a link to your product page so I can see what you've done so far.